Power Source 18V Advanced Lithium Battery (optional) or an AC Power Cable. 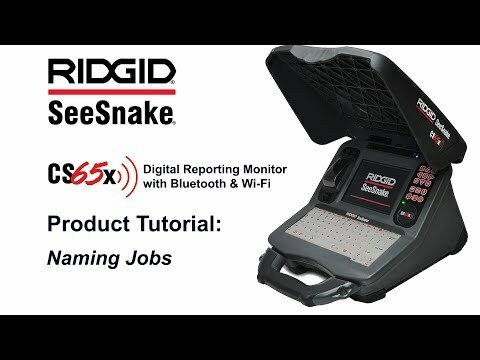 CS65x Digital Reporting Monitor with Wi-Fi is rated 5.0 out of 5 by 1. Rated 5 out of 5 by KCoats from Truly fantastic monitor Yes it is that good,ease of use,brilliant features and I have used a few different C.C.T.V systems in my years of being in the plumbing and drainage industry. I would really recommend this product and have recently upgraded to a digital system from the DVD unit,really like the report funtion as it is so easy and looks great,customers love it.